BETHLEHEM, Pa., March 27, 2018 /PRNewswire/ -- Just Born Quality Confections, the makers of iconic candy brands such as PEEPS®, MIKE AND IKE®, HOT TAMALES® and GOLDENBERG'S® PEANUT CHEWS® is excited to announce that the one and only Energizer Bunny™ has been selected as the new PEEPS® Celebrity Creative Director. The Pink PEEPS® Bunny searched far and wide to find the perfect creative partner to help drum up new energy for the 2018 Easter product line. With his power-packed, unstoppable nature, the Energizer Bunny™ was the best choice for the job. The PEEPS® Celebrity Creative Director, the Energizer Bunny™, unveils the new innovative design of the popular pink PEEPS® bunnies line leading up to Easter. 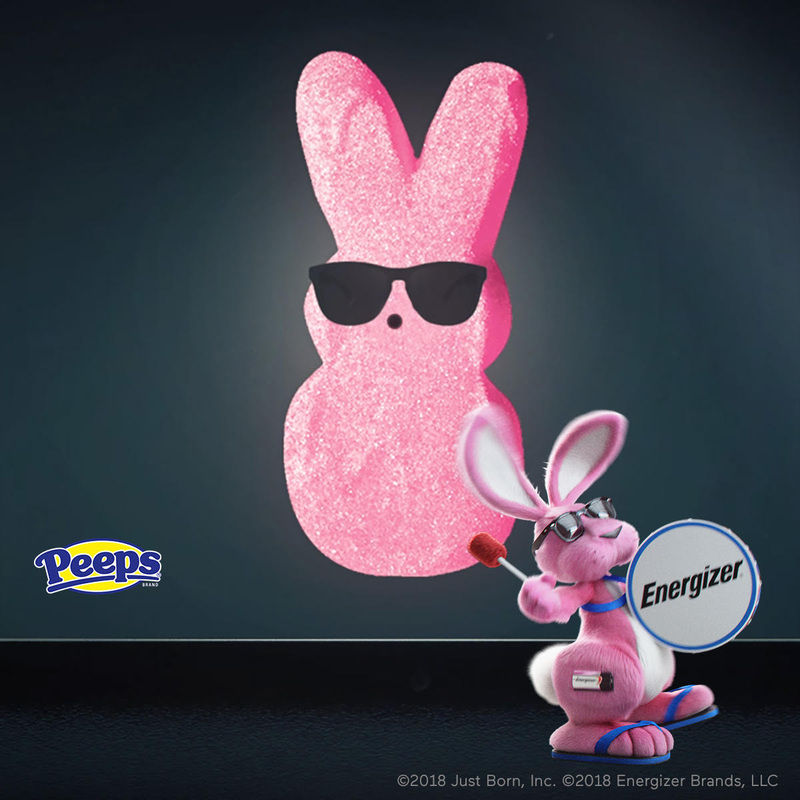 This new creative brand vision has made the pink PEEPS® bunnies kind of look like… the Energizer Bunny™. 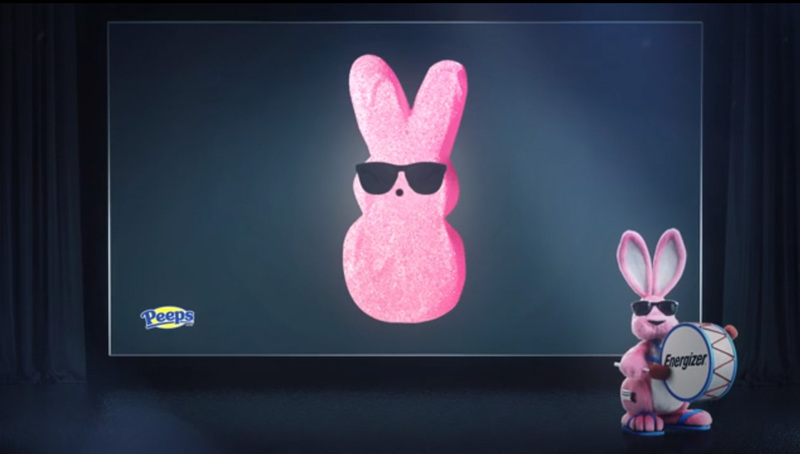 The Energizer Bunny™ adds his understated and chic addition, sunglasses, to each pink PEEPS® bunny this season. The Energizer Bunny™ is thrilled to finally share the new pink PEEPS® bunny look with the world and spread PEEPSONALITY®! "It's no surprise that Easter is THE holiday for PEEPS®, and after 65 years we needed 'some -bunny' to help re-energize the brand's product offerings and help us power up innovation," said the Pink PEEPS® Bunny, Director of Bunny Operations (via translator.) "Who better to help power up innovation than the coolest symbol of long-lasting energy – the Energizer Bunny™, plus he kind of looks like me!" As Celebrity Creative Director, the Energizer Bunny™ assumes full creative control in PEEPS® bunny production. One of the first projects the famed Energizer Bunny™ took on was creating an innovative new look and feel for the popular pink PEEPS® bunnies line leading up to Easter. 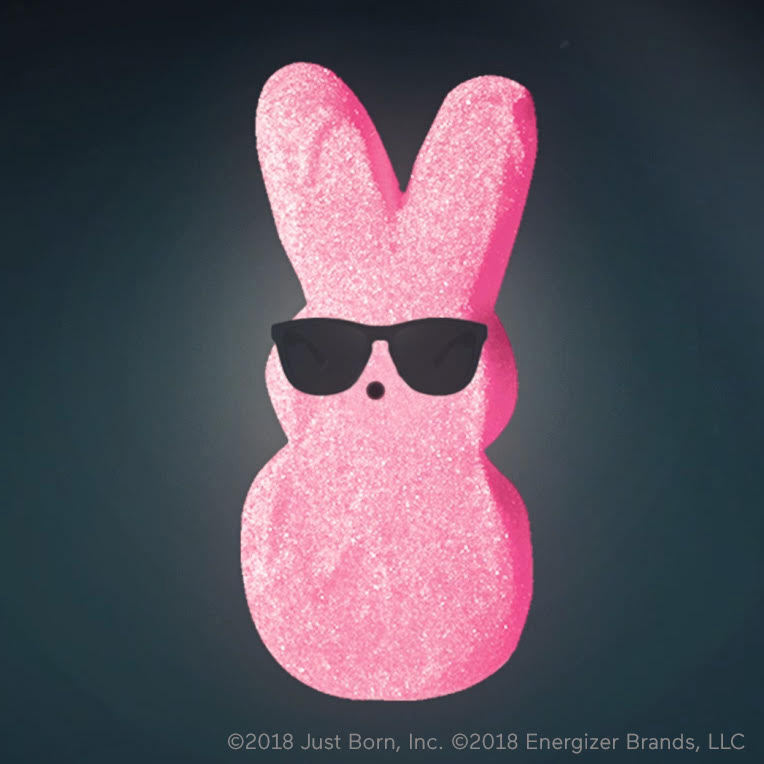 His understated and chic addition, sunglasses, are being added to each pink PEEPS® bunny this season. "We are so excited to finally share the new pink PEEPS® bunny look with our fans," said Caitlin Servian, PEEPS® Brand Manager. "It's a sweet reflection of the Energizer Bunny™ and his dedication to helping us continue to spread PEEPSONALITY®!" 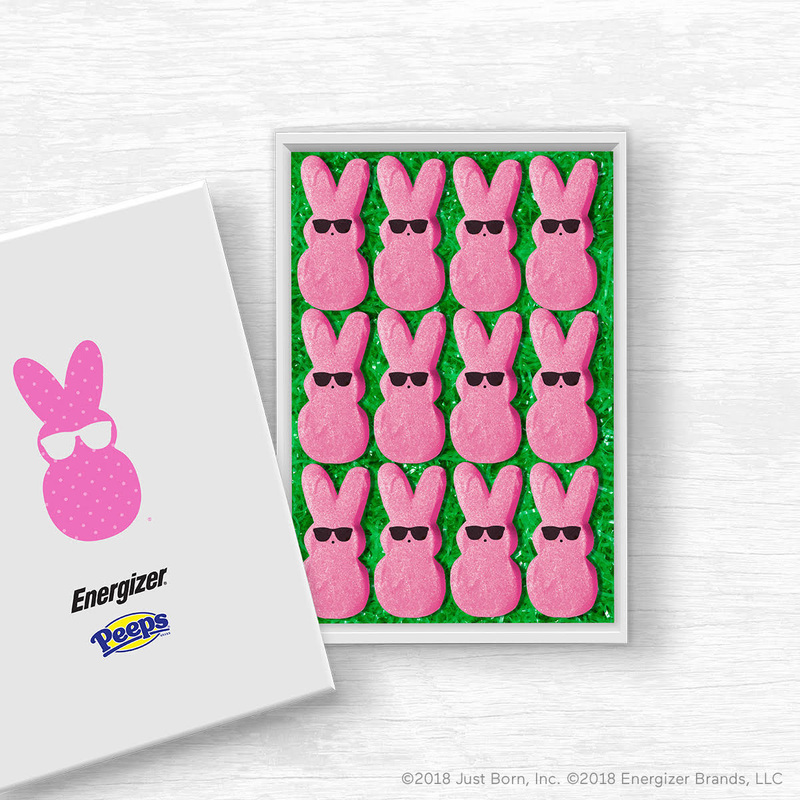 With the creative direction of the Energizer Bunny™, the PEEPS® Brand has rolled out the new design for the iconic pink PEEPS® bunnies with sunglasses now for Easter. This new creative brand vision has made the pink PEEPS® bunnies kind of like… the Energizer Bunny™. "The Energizer Bunny™ is pleased to raise his mallet and step in as Celebrity Creative Director for PEEPS® this Easter season," said Lori Shambro, Energizer® Vice President of Global Marketing. "With his boundless energy and eye for innovation, this new role was a perfect way to help a fellow Bunny during their busiest season and add an exclusive, energized accessory to the product line." The Energizer Bunny™ brings more than 29 years of experience to the Bethlehem, PA confection company. His extensive and energizing career began at Energizer®, where he will continue his role as the power-packed brand ambassador, in addition to his newfound role as Celebrity Creative Director for PEEPS®. For more information, please visit marshmallowpeeps.com. Remember to express your #PEEPSONALITY by joining the conversation on social media – visit @PeepsBrand on Facebook, Twitter, and Instagram. This is an April Fools' joke and should be taken as such by media, consumers and the marketplace. Energizer Holdings, Inc., headquartered in St. Louis, MO, is one of the world's largest manufacturers of primary batteries, portable flashlights and lanterns. Energizer is a global leader in the dynamic business of providing power solutions with a full portfolio of products including Energizer® brand battery products such as Energizer® EcoAdvanced®; Energizer MAX®; Energizer® Ultimate Lithium™; Energizer Recharge® batteries and charging systems; and portable flashlights and lanterns. In addition, Energizer recently acquired HandStands Holding Corporation, a leading designer and marketer of automotive fragrance and appearance products. HandStands offers innovative products from recognized brands such as Refresh Your Car!®, California Scents®, Driven®, Bahama & Co.®, LEXOL® and Eagle One®. Visit www.energizerholdings.com for more information. Energizer Bunny and the Energizer Bunny design are trademarks of Energizer Brands, LLC.